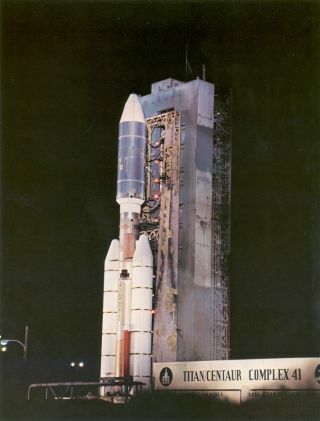 Voyager 2, arriving at Jupiter four months after Voyager 1, was actually launched on Aug. 20, 1977, 16 days before its mate. In this historical photo from the U.S. space agency, Voyager 2's August 20, 1977 launch, which was sixteen days before Voyager 1 aboard a Titan-Centaur rocket. Their different flight trajectories caused Voyager 2 to arrive at Jupiter four months later than Voyager 1, thus explaining their numbering. The initial mission plan for Voyager 2 specified visits only to Jupiter and Saturn. The plan was augmented in 1981 to include a visit to Uranus, and again in 1985 to include a flyby of Neptune. After completing the tour of the outer planets in 1989, the Voyager spacecraft began exploring interstellar space. The Voyager mission has been managed by NASA's Office of Space Science and the Jet Propulsion Laboratory.